The three sections of this gold and silver star spin on the central axis to create a stunning three dimensional ornament. 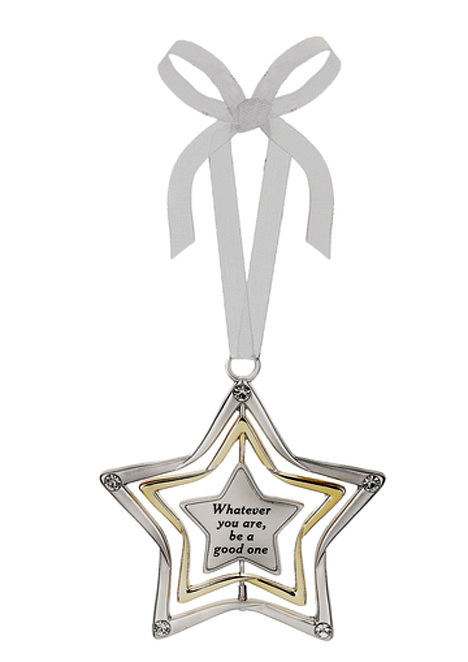 Measures 2 1/2" in diameter and hangs from a sheer white ribbon. Each point of the star is accented with a sparkling crystal. The center star is engraved with "Whatever you are, be a good one."